Capital Budgeting Part Two (HP10BII) — Calculating Internal Rate of Return – What? Why? How? 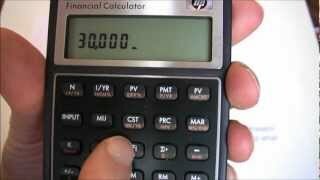 This video walks through an example of calculating IRR for two capital budgeting projects using the HP10BII financial calculator. This is the second video in a four-part series. What if it has a salvage/residual value? Thank you for this video!!! I am finally ready to take this test! Period” if you want to search for it. Is there anyway to calculate the PI through this calculator ? Is there a video on the Accounting Rate of Return?